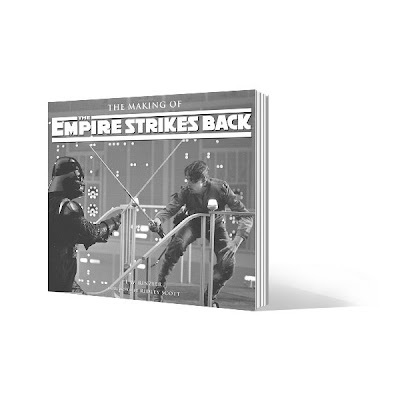 Released next year (On March 23, 2010 to be exact) to coincide with the Thirtieth Anniversary of "The Empire Strikes Back" opening, this 372 page book by J.W. Rinzler with a forward by Ridley Scott himself is a very shelf worthy tome. Any good Star Wars fan will eat it up. My favorite of all six films and the closest to being perfect in every way. George didn't need to change a thing, sadly he did. Hat Tip to Star Wars.com. Interesting. This book will probably sell well. There are many fans out there who will love this. Behind the scenes books are always interesting to read. By the way, I apologize since this is sort of unrelated, but I can't help but notice that the blog poster who once called himself "Spokker fan" doesn't seem to be around here anymore. So either that meansu the individual stopped using that name, or they simply have never posted here since making their rude post. Either way, it proves that they are a coward. Again, I apologize since I know that most folks will have no idea what I'm talking about, but I had to get that off of my chest. Really? I guess I just proved you are an idiot for making ignorant comments that have nothing to do with the posted topic and you're the coward for hiding your gutless statements behind an anonymous post. I think you mean tome, i.e. a book, not a burial chamber. JW Rinzler's book on SW was exhaustive and thoroughly enjoyable, as was his book on the Indy movies. I wasn't aware that he was working on an Empire book, this is good news indeed. I'll be getting the hardcover for sure. And Spokker is an idiot. You are so right about Lucas, Hunter. His Star Wars used to be about characters you could root for, a grand quest, and a sprawling imaginative universe. Now it's a toy commercial. Starring the franchise's main villian. When he was a good guy. A vapid boring good guy. What a sad decline for such a great concept.